The archaic technologies used for emailing has aged out .It was designed about 30 years ago, for the large screens with numb interfaces. Moreover, it hasn’t changed yet. People waste hours together to manage their email and they hate it! Mailburn enables you to trump up the regular e-mails to a high definition calibrated official mails. 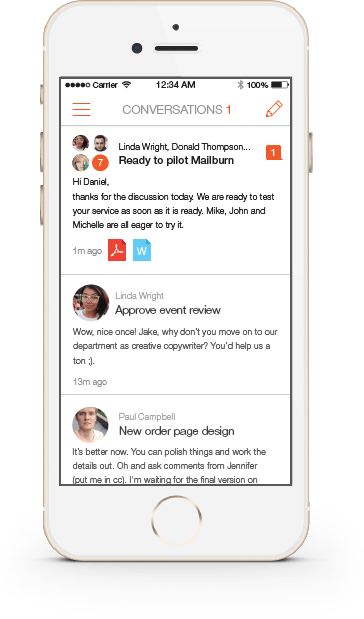 The mobile users, who constantly connect to check their emails, follow meetings and even replying to the urgent e-mail. Mailburn is your ultimate savior! 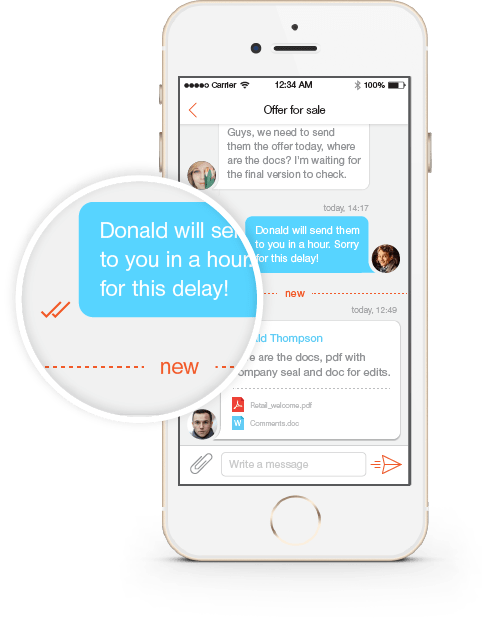 The first version is an iPhone client that enables conversations with individuals, as chats, like WhatsApp. Users receive open, read notifications, and email reminders. “We provide different interface for categorized emails by packaging it for essential business uses”. Wow! E-mail sounds much more interesting and convenient now. The team of seven, dedicated and relentless professionals, who want to define the new dimensions of e-mail for business.“Yes, we aim that high”. In 2014, Daniel met with CoffeeLab start-up studio (http://coffeelab.vc) and the idea for Mailburn clicked. It took few months to validate the idea. Daniel has about seven years experiences in IT sectors and start-ups, who started his career as junior developer and was escalated as a CTO. CoffeeLab partners are the collaborated co-founders of Mailburn now and all of them are serial entrepreneurs with 10+ start-ups. Ann is the Design Head and CPO. Later, Kate from Skype has joined the ranks of Mailburn and boosted the iOS team. Alex joined as a CTO. He was a lead architect of e-mail solution for German government when he was working in T-Systems, which was just perfect for Mailburn. Jane from CoffeeLab had a phenomenal idea to reinvent the emails. The protocol used is outdated. It is thought provoking, that workflow has changed dynamically and there is an emerging need for emails, to upgrade. The biggest challenge was to find right people to build the company. People do not own up to work without a pay .To search investors was another test to pass, because nobody wants to be involved with Russia. “We solve the out-datedness of e-mail from interface, tech and business sides”. The renovated interface of e-mail is suitable according to the use of it. There is a different interface for dialogues, news, notifications and so on. Technically, categorization algorithms and language processing of emails is an advantage. E-mails are more just reply/forward duo. “We want to snooze emails, know when somebody opened it or get notified when somebody failed to reply to us in time. We want emails, tightly integrated with our business systems like CRMs or project management tools. It is like having a personal assistance for email in your phone”. Many email clients and start-ups work in the same field. However, they work in the same old ‘from-subject-snippet’ paradigm of email. 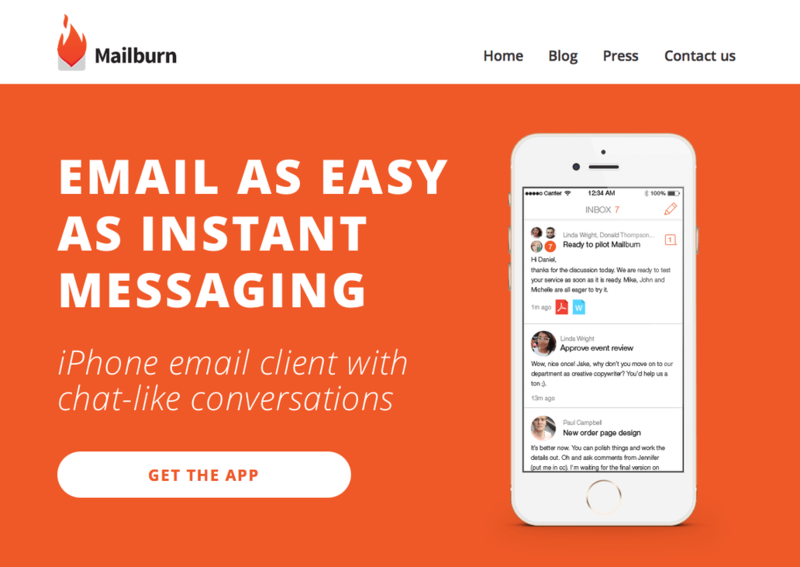 While Mailburn, has a very distinctive path. It does not collide with any existing solution. “The major competitors are Gmail, Mailbox and Acompli, but as I said, we are very different”. The iPhone client is the prime focus now. Expanding to other platforms – Android, Windows Phone and web interface will be available later. “Of course, we have grand plans after conquering mobile market in future”. “We will target only business users, starting with founders and C-level execs. They are heavy mobile email users who have lots of meetings, write mostly short emails and aren’t tied down to one system (like CRM or project management tools for sales or development teams).Most of the users in our waiting list are from US which isn’t a surprise”. It offers you email PA for just $5 per month. You can use the free version but it is a limited edition. Previous articleEdiply Helps Students Fulfill Their Dream Of Studying Overseas! Next articleBunchcut, Your Absolute Tool for the Workplace!